Whenever Communications (SatellitePhoneStore.com) is a global provider of satellite voice and data communication solutions. Our team of technical solutions sales and service experts has more than 40 years’ combined experience in the satellite telecommunications industry. We specialize in delivering end-to-end solutions along with stellar support, making satellite communications accessible for any level of user. We bring SATCOM ‘down to earth’ for everyone. Whenever Communications is registered with the federal government (CCR, ORCA), as well as several state and local government agencies. In addition, we are in the process of applying for a Schedule 70 MAS contract through GSA and are HUBZone certified by the SBA. We are actively pursuing contracts with federal, state and local government agencies, in addition to targeted private sector markets. Our product and service offering includes sales, service and rentals for satellite phones, BGAN, fleet broadband, VSAT, personnel and asset tracking, emergency locator beacons, and more. We provide equipment, airtime, installation, maintenance / repair and technical support. SatellitePhoneStore.com is a worldwide communications solutions and satellite service provider with its headquarters in Sarasota, Florida. The store provides satellite phones and broadband internet terminals for sales or rentals combined with airtime packages customized to our clients’ need. Our goal is to exceed the expectations of our customers by offering exceptional customer service, flexibility, and an exceptional value, therefore, optimizing the whole customer experience by saving them both time and money. At SatellitePhoneStore.com, our associates are defined by their commitment to continuously educating themselves in both the functionality and technical aspects of our products and services, becoming experts in their field. This ensures that our customers receive the finest and most effective customer service. As leaders in the service provider industry for Iridium, Inmarsat, and all other major satellite network operators, SatellitePhoneStore.com is at the forefront of the market due to providing full voice and data connectivity to the most remote, underdeveloped regions in the world. Our primary goal is to create as many links in these remote areas in the shortest period of time. Our partnerships with local telecommunication companies, non-profit organizations and global firms aid our continuing success. 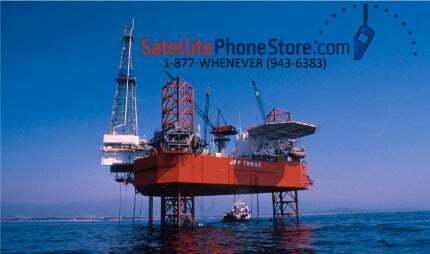 Unlike other satellite providers, SatellitePhoneStore.com is a leading service provider in the mobile satellite services (MSS) industry. As global communication experts, we seek to enable both individuals and organizations of any size to have the ability to connect and communicate from anywhere on the surface of Earth at any time. Supplying global connectivity is our passion, and empowering people with the ability to stay in touch wherever they are located is our mission. We strive to bring the benefits of reliable, high-quality, mobile satellite communication products and services to every sector of commerce, with a focus on customer service and support. Our promise is not to just sell the equipment but to also communicate on an ongoing basis about the products or services our customers choose. We aim to build long-term relationships with customers by educating them on current developments in the marketplace and any changes we might undergo through our growth process. Our technical expertise and exceptional customer service makes SatellitePhoneStore.com the ideal choice for mobile satellite communications products and services.